The North Tennis Club annual year-end tournament was mired by rain and numerous match cancellations. However, this did not deter tournament organizers and participants from eventually completing their matches and crowning some new champions. The oldest and largest trophy awarded by the club goes to the mixed doubles champions. 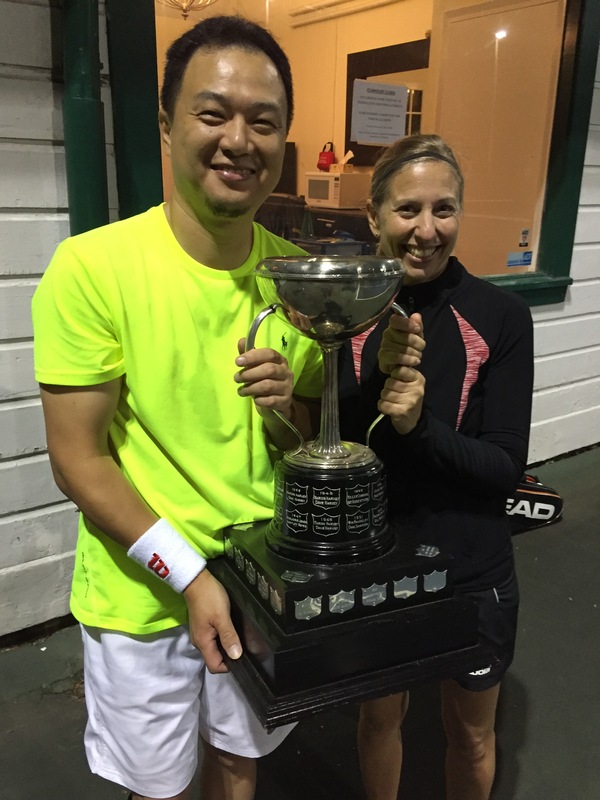 The mixed title saw Richard Chen and Sharon Poddat defend their 2015 title against Peter Zandstra and Nancy Byrtus who were playing together in their first final. Byrtus and Zandstra were forced to retire due to injury while serving at 3-4 in the pro set. 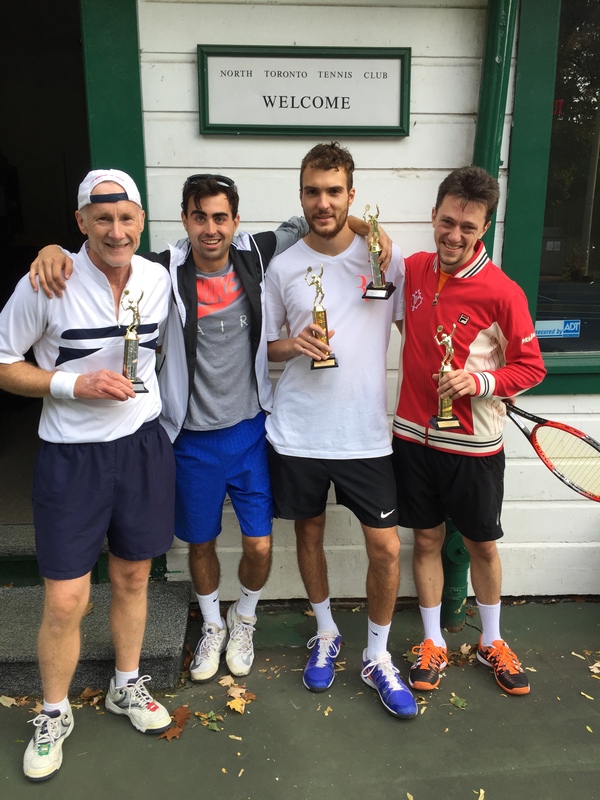 The hotly contested Men’s Doubles Final had a draw of eleven teams. There were many close matches. The final was very well played and featured some outstanding tennis with 2014 champions Cyprien Tacq and Chris Moir – who lost in the 2015 final – reclaiming the Men’s Doubles title with a hard fought three set victory 4-6, 6-1, 6-4, over Dylan Studley and Greg Grant. In the singles play the Men’s A draw had excellent depth with 16 strong players vying for the title of club champion. In the end Oliver Small and Dylan Studley separated themselves from the field. Small who was defending his 2015 title proved he was still worthy earning the victory 8-2 and repeating as Men’s A club champion. The Ladies A division final featured Lada Demarin versus Reba in a rain interrupted match that had to be played over two days.. Both finalist displayed high quality tennis with the Ladies title going to Reba with an 8-1 pro set victory. The Men’s B singles featured the largest draw with 17 players entered. The final was won by Steve Bower in a walkover as David Richards could not play due to injury. The NT club tournament is getting more popular each year with more participants and a higher caliber of play. A special thank you must go out to our club general manager Mark Crone and club pro Adrian Boubalos. These two gentleman worked overtime to ensure the tournament would be a success. Mark and Adrian set the tone for the tournament encouraging all participants to have fun and to respect their opponents. Especially evident was the high level of sportsmanship that was on display in every match. Congratulations to Mark and Adrian and to all those who participated in the North Toronto Tennis Club 2016 tournament.